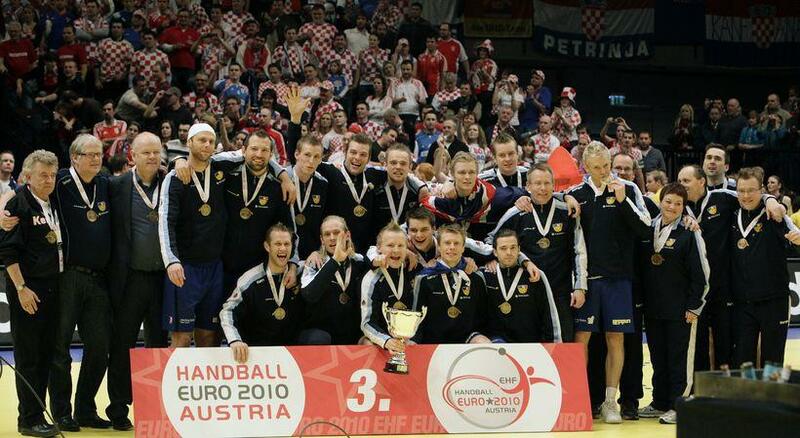 With the start of the Euro 2016 handball championships in Poland just two days away, we take a look back to 2010, when Iceland took bronze – its best ever result. Hosts Austria were three points behind Iceland with just minutes to go, but managed to claw back a 37-37 scoreline in a thrilling finish (see video below). Following this draw with Austria, Iceland went on to draw with Croatia and defeat Denmark, Russia, Norway and Poland to secure third place overall. Iceland’s opening match in Euro 2016 is against Norway and gets under way at 6:15 pm (Polish time) on Friday.